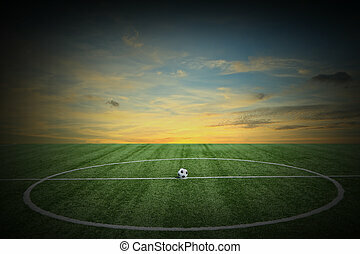 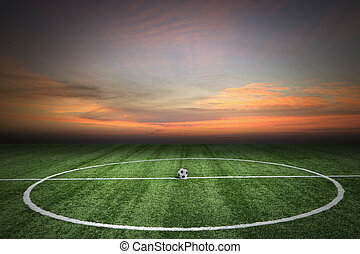 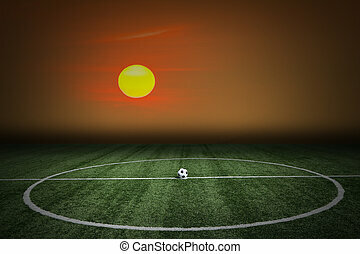 Soccer sunset. 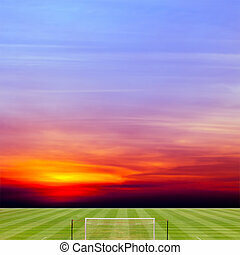 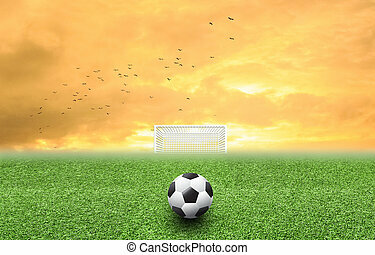 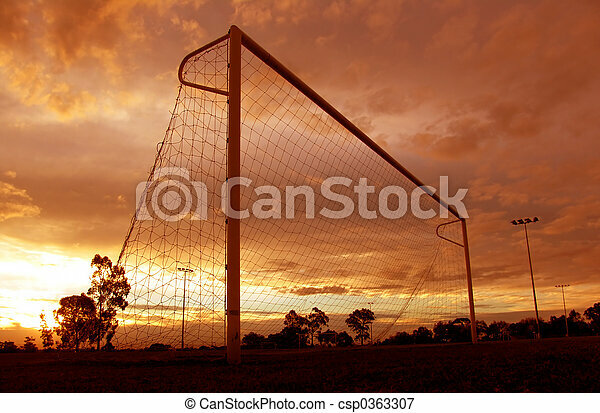 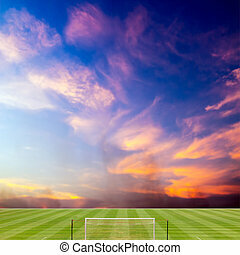 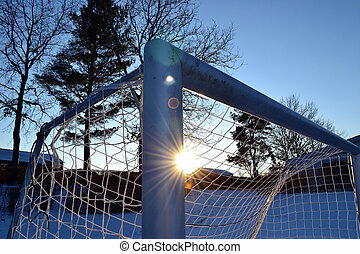 Orange sunset over soccer goal. 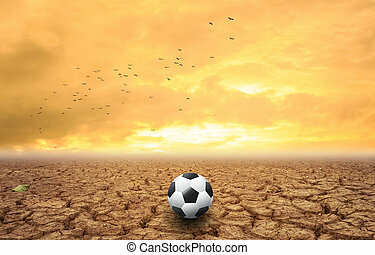 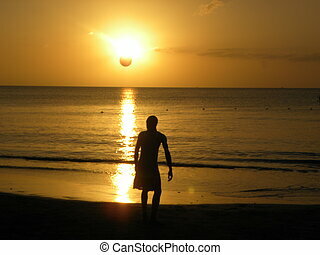 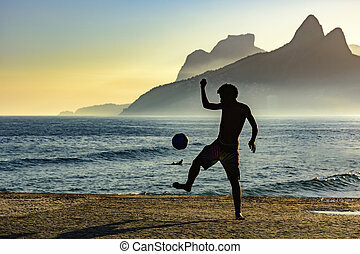 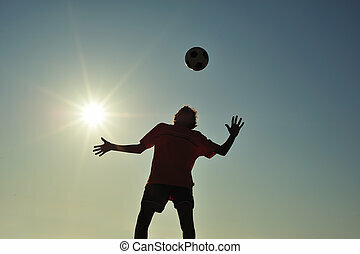 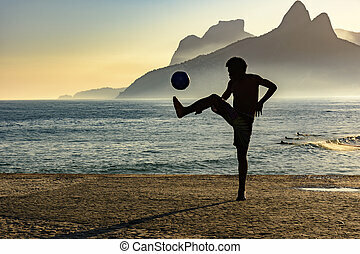 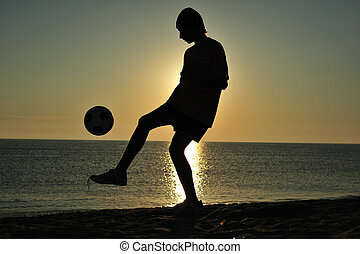 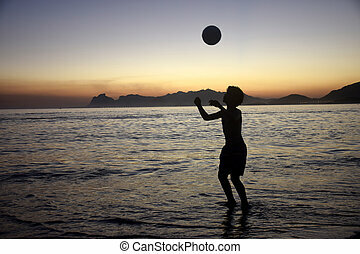 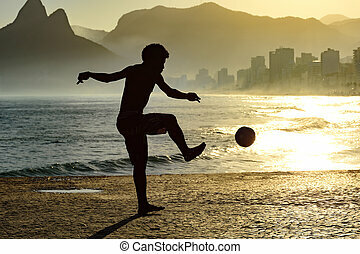 A man kicks his soccer ball into the sunset on a caribbean island.